If you’ve been in the affiliate marketing industry you should know the tracker is one of the main tools for affiliates running CPA campaigns. Pretty much that’s how you track all of your revenue and conversions and optimize your media buys so it becomes the center area of your stats and business. I’ve been using Voluum since I started CPA marketing back in 2014 when it was still free in BETA mode and every year or two I tested other trackers (the competitors) to see what was going on and to get a feeling of the features and user interface of each one along with the pricing scheme just to go back to Voluum after a few days. I tested Thrive, Funneflux (in one of their first releases) and Adsbridge (check out the full review) and while all of them do the job I just kept going back to Voluum mostly because of the GUI. However, if you do constant market research (A.K.A. Spying) you should have noticed that nowadays there are many other trackers as well. I can think of 10 or more right now but I’m sure there are many more. Trackers are popping everywhere and some of them are good, some of them are less expensive and some of them already disappeared. One tracker you should notice by now is Binom though. If you do a quick search in Adplexity and order the results by tracker you will see Binom is the second listed just after Voluum and you’ll typically see Adsbridge, Thrive and Funnelflux over there too. This and a few posts in the STM forum caught my attention and so I decided 2 months ago to start testing trackers again for the sake of knowing what’s out there. 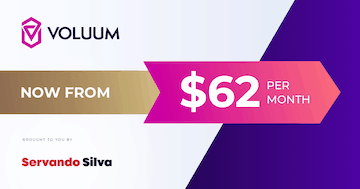 Also, this was the moment when Voluum announced their new plan structure going from $99, $399 and $999 going to $299, $599 and $1,499. So it was a perfect time for testing as for a lot of new affiliates $299 is too much to handle when they’re just learning the ropes. I grabbed a copy of Binom, FunnelFlux and Thrive and did some tests against my Voluum account and to make long story short I decided to stay with Binom after 1 month. I think Voluum still has probably the best UI although I didn’t enjoy their latest update, but based on price+features+speed+reporting I just liked Binom more than all the rest. In this article I’ll explain what I liked the most about Binom that most other trackers don’t really have. 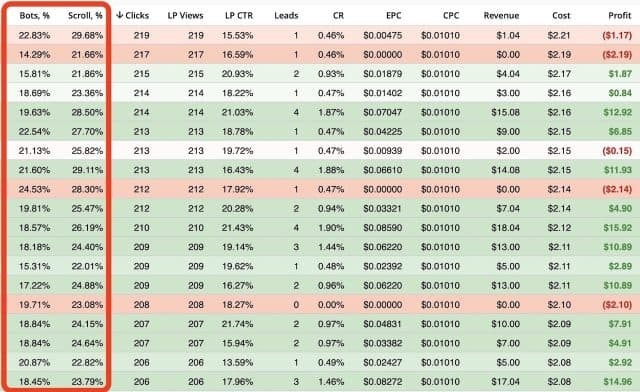 Obviously, all do the basic job (and most important) which is tracking campaigns so you can optimize and make more money, so I won’t go over each of their features or this could be a 2 hours long post. From experience I know at least some of them are quite true and important. For example, some trackers have slow redirects and charge per events and barely update and develop their features at all. Also I know some self hosted trackers can be quite slow when pulling reports from several days or weeks (some of them can take minutes just to load a report…). My main fear with Binom was it’s only self hosted and so far most of the trackers I had tested were cloud hosted. But the actual installation was super easy thanks to their support and you really don’t have to do anything besides contacting them and giving them access to your server the first time for the installation. 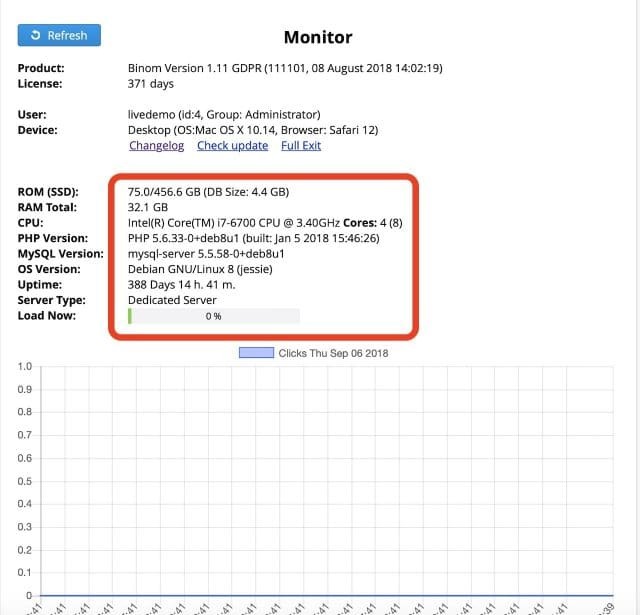 You can spin up a VPS instance with Vultr in 2 minutes and the OS and plan should be at least the one I’m showing you in the picture above to get a decent performance. This is a 2 CPU/4GB Intel Skylake server which can be scaled up whenever you want with 2 clicks so I prefer using Vultr or DigitalOcean than getting a managed server. Binom only requires you to have a 1CPU/2GB of RAM to get your server setup with a clean install of Ubuntu 18.04 or Debian 9.x installed. Forget about installing any stack or cPanel as Binom support will handle everything and they don’t recommend anything more than a clean OS install. 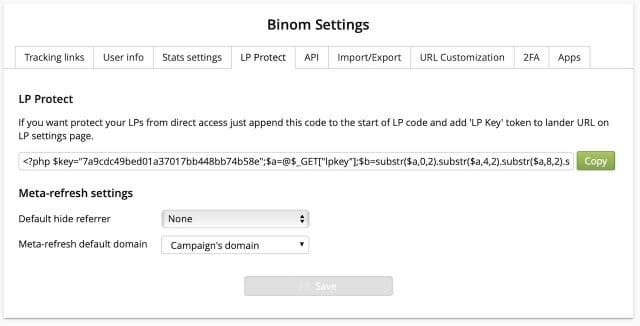 Other than that, Binom support will ask you for your domain to be pointed at your server and the root user and pass so they can go and install the server for you. This process takes 15 minutes max. It’s quite easy and you literally don’t have to do anything else besides waiting for their email so you can setup your user and pass for the first time once everything is installed. Once your tracker is installed you can access it and there’s a monitor tab where you can see your server and license details. In this monitor tab you can also check if there are any software updates for your tracker and install them with 1 click. From what I’ve seen Binom releases new versions every 2-3 months and it’s better to update it while your traffic is low although the update usually takes just a few seconds. Binom seems to be very similar to Voluum albeit with a simpler user interface. One thing I liked a lot about Voluum was the graphs and Binom has something similar called trends where you can see your results per day as well. One thing a lot of affiliates are speaking of thanks to Google is secured/encrypted certificates. 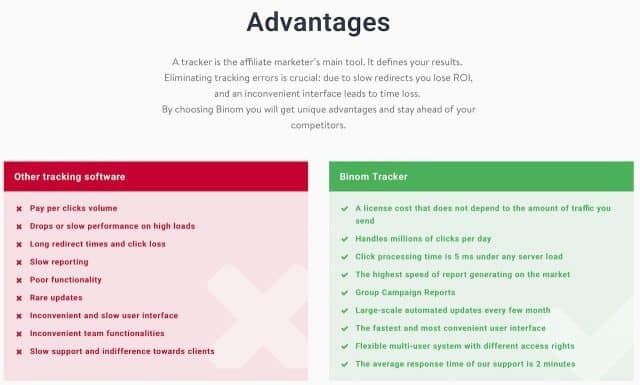 While some trackers allow you to have a number of domains available to track (1-5) and usually they charge more for every domain, Binom allows you to have UNLIMITED tracking domains plus unlimited SSL certificates at no cost. You can ask the support team to add any domain and as long as you point it to the server they will add it and you can easily enable or disable the SSL right there in your settings with a switch. If you have problems running high volume campaigns and domains getting flagged this is great and other trackers don’t allow you to do this without paying extra. 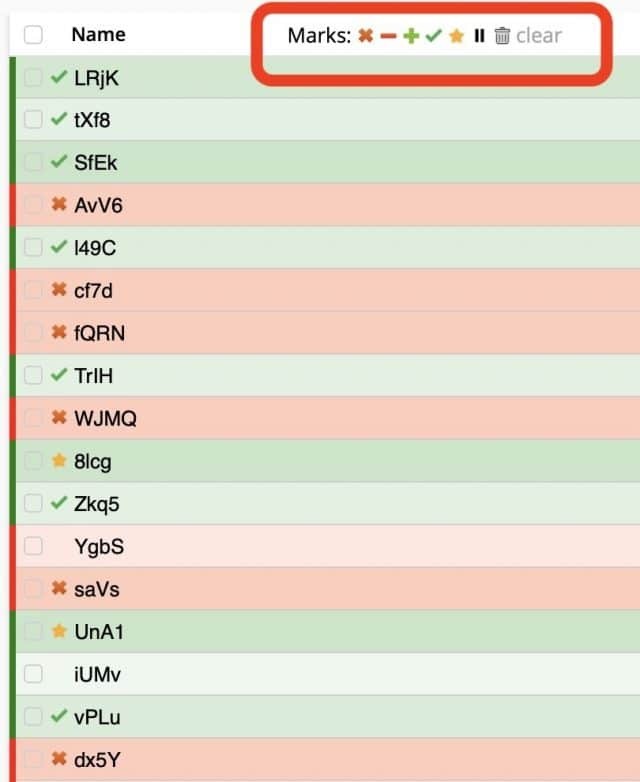 A lot of people are wondering if SSL certificates can be free with Let’sEncrypt and you’re already paying for the domain why should trackers charge you more for the additional domains and certificates? Well, Binom thinks you don’t need to pay more. Additionally, there’s a check ban button right there where they can detect when your domains have been flagged using Google’s API. While this only works for the whole domain at the moment it seems like they’re going to release a new update in the future. Once you have your domains and tracker installed you can now start launching campaigns as you would do with any other tracker. However I’d like to point out my favorite features as I’m using them actively and they have made my life easier while not being available in many other trackers as of September 2018. 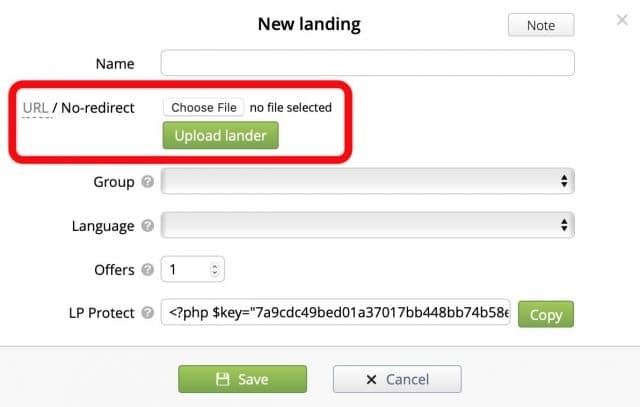 This is a simple yet powerful features that blocks direct access to your landing page without having a LP token from your campaign URL. This means if someone wants to copy and share your campaign with somebody else or just open it in another browser but they don’t have the campaign URL they won’t be able to see it. You might have seen that in work if you spy manually in pop/native campaigns. While this might not prevent completely from being it ripped with spy tools it’s just another barrier you can add to make their life more difficult. 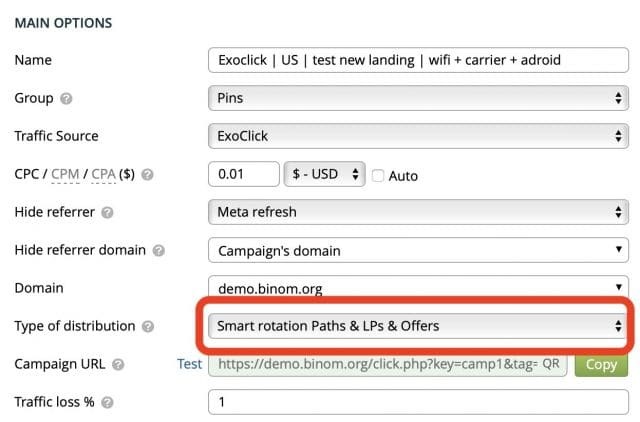 This is a simple yet powerful features that works great when you’re testing several offers or landing pages. Instead of just sending random people to your funnels this type of distribution detects the user and sends them to different paths if they open the campaign link several times. This means the visitor can see different paths of your campaign and possibly convert even if they didn’t convert the first time with the original path. Once you optimize your campaign and have the best lander and offer running though it might not be very useful although another case could be for a back button redirect of course. If you are running COD offers you know your approval rate can change from 40 to maybe 70% just to say an example. In the advanced settings you can put your estimated approval rate to measure this and also a percentage of traffic loss in case you know it’s happening (very common for mobile pops). They also have a LP pixel and an integrated lander function (most trackers have this now) so you can run campaigns on traffic sources like FB or Google Ads without redirections which can get you banned. One of my favorite but most simple feature is Notes. This sounds very simple but it helps me keep everything organized and remember what was the last thing we did in the campaign to keep a journal on it or write reminders from specific cases based on my data. 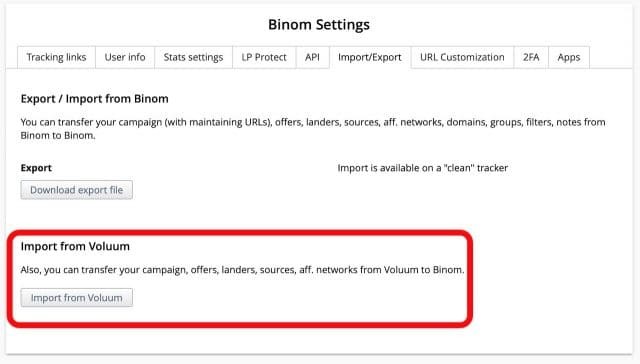 Binom allows you to add up to 10 custom events in your landing page which can pass back information to measure different things like scroll percentage, screen resolution, bot percentage and more and all of this can be displayed in the reporting columns like any other variable from the tracker. This is particularly useful if you want to track actions and it helps you optimize your campaigns without creating several campaigns for each event or implementing weird methods as long as you can measure them with events. For example, you could measure how many visitors spent more than 20 seconds in your lander (ideal for native articles) or how many are leaving trough your back button redirect right in your data, but the opportunities here are endless as long as you’re creative and code-savvy. Finally, one feature I use a lot in Binom is the marking system. This allows you to assign 7 different marks to any variables in your reporting and I find it particularly useful for blacklists and whitelists which are a most in many traffic sources. 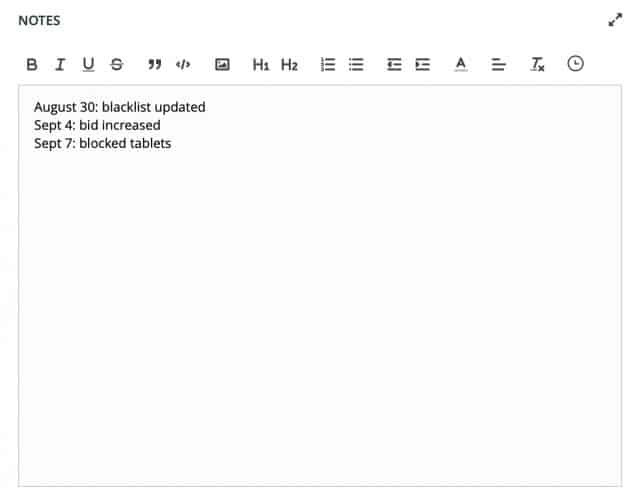 For example, I could use the X mark to identify all of them siteIDs that I have blacklisted in a RON campaign and the + mark to identify all the websiteIDs that have been moved to a new whitelist campaign. Also this helps you optimize your campaigns better because you can analyze traffic from several days or weeks before and you know what categories, tokens, devices, OS, etc. you’ve already blocked without checking in the traffic source or pulling a huge excel list. This is probably the function I use the most. This isn0t really a feature I use but it’s interesting. 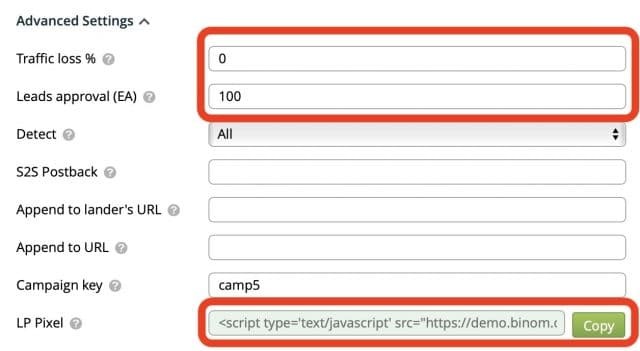 Integrated landers allow you to select a file and upload it to the tracker so you don’t have to use any redirects (good or FB/Google) although everything is integrated in the same domain. I prefer using the LP Pixel function as this keeps everything separated but I know why some people might find this useful. Finally, if you’re an old Voluum user and have too many campaigns, landers and offers to import, there’s an import/export area where you can do this with a few clicks. I personally have been switching my stuff slowly from one tracker to many others while testing so I can clean everything that isn’t needed anymore but I know for some people this would be a very demanding task and they just want to import everything with a few clicks. Make sure you disable 2FA so this works properly. Now that I’ve mentioned my favorite features and how to do an easy install of Binom in your server you’re probably expecting the coupon code and here it is! Usually Binom has a 14-day trial and after that it costs $99 per month plus $49 per month for additional licenses (in case you want to have many servers around the world). However, if you get Binom with my coupon code “servandobinom” you will get a 30 days trial plus a 40% discount in your first paid month. Or you can just click here to get the coupon added automatically. So your first month will cost $0 and your second month will cost $59 only. The support levels are also the same for everybody so you don’t have better or worse support according to your plan. 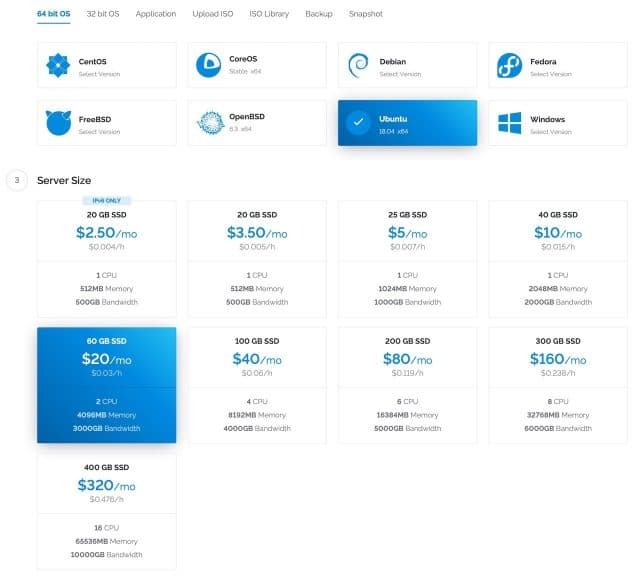 You’ll also need a VPS, but you can get started with Vultr for $20 per month and that server can easily handle around 300,000 visits per day, or around 9 million visits per month. $119 for 9 million visits per month sounds pretty sweet when you would have to pay $299-$599 for that in other solutions. If you need 300-500k visits per day the $40 Vultr VPS will handle it and for 1 Million visits per day you’ll need the $80/m VPS. So again you end up paying less than $200 per month ($99 + $80) for 30 million visits while you’d pay more than $1,000 with cloud solutions. The only thing I miss from Voluum is their database which is far more accurate (Digital Element) however this is mostly important when running campaigns for specific ISPs or cities like pin submits or some city/state specific offers. I can’t complain though as I know due to the price of the database it can only be included in SaaS like Voluum or Cloud hosted Funnelflux and none of the self hosted solutions have it available for that specific reason. But other than that, I love Binom and will continue to use it looking forward to some great feature updates in the near future! I like Binom’s notifications feature but I switched to Kintura in January. Their AI-powered smart cost update is the best thing to happen in tracking since Voluum. Also their multivariate AI and redirect speed is off the charts no matter how many pops I throw at it. Have you looked at it? They fly under the radar from spy platforms because their bot detection seems to outperform even Forensiq (also fwiw Impact has been trying to acquire Kintura from what I’ve heard so I’m not sure if it’s just going to disappear or become $1k/mo too lol). Speaking of which also the only tracker I’ve ever used that let me bring fraudulent pubs list to a traffic source (I won’t name names) and actually get a partial refund on shady traffic. I’ve heard of them but never tested it. There are so may trackers nowadays and I’m sure a ton of them have great features. I am new in this game and still reading up. I got linked to your site from Mobile Immersion. As one just signing up, is hosting the same as The Vultr VPSes? I can’t really understand. I really want to know if The Vultr VPSes is what i need instead of hosting? In addition, will binom give me what Voluum gives? Considering the fact that i want global coverage for traffic? Vultr is a host, yes. So talking about vultr is pretty much like talking about the host for your tracker and landing pages. To get started you need domains for tracking and landing pages, a host, a tracker and accounts with traffic networks and CPA networks. Binom will do the same function as Voluum, so yeah, they both pretty much do the work. What do you mean by money out? If you’re asking for a refund just contact their support. you need a domain for your tracker and another domain for your landing pages as well. Thanks for this helpful article, can you please specify if you installed Binom by yourself (Manual Installation) or you had chosen the Automatic installation powered by Binom Team please? I asked the team to install it for me and they did it in 10 minutes. You can do it yourself if you want though. However you probably don’t need a server in each one of them as long as your landers are in the proper location or you use a CDN. I’ve tested it a lot and the location if the tracker doesn’t seem to affect. Thanks for the detailed tutorial… I’m sold 🙂 Which country have you selected to host Binom? Cloud-based trackers have the advantage of multiple data centers world-wide. I’m hosting one in the USA and will deploy another in Asia soon. Honestly I tested this a lot vs Voluum in different countries (in North America, Europe and Africa) and the location didn’t make a change in performance against cloud hosted so I’m sure unless you run a lot of mobile pops the location of the tracker won’t matter much. Do you have to pay another license for Asia? I am running native ads so probably won’t matter like you say. Servando, I’m curious on how you’re running these test? I would assume that having tracker located in multiple locations (Asia, Europe, or US) along with the server hosting the landing page near the geo you’re targeting would outperform the tracker in only one location. Love to hear about it! Otherwise, I think cloud hosted companies like Voluum would just have their tracker in one geo and not multiple if it performs the same since it would save them tons of money on hardware and infrastructure setup. It seems like having the LP server near the location makes much more of a difference than the tracking server itself. This is something we’ve tested and has been mentioned as well in STM or other forums. We simply test running the same campaigns and checking all performance metrics (CTR, CR, click loss, etc). At the end what makes us more money without headaches is what works better. Hey great article, I have tried Binom last month and I am totally convinced that it is a wonderful tool. But which kind of infrastructure can manage pop traffic (and good ping time) all around the world with the same rapidity than voluum ? Did you test them both? I didn’t notice a difference in performance while using pop traffic in Binom TBH. I’d just have 2-3 instances running in case you’re running traffic from very different parts of the world. The Vultr VPSes can handle a lot of traffic easily.